As a result of federal policy and institutions like the NSA, “privacy” is no longer private. Instead of providing protection, these enactments work to gradually erode liberty. In their very essence, they are attacks from the inside. Their origin is a government that was a creation of the states. In the 1760s, the situation was just as dire. In order to enforce its coercive means of taxation, the British Parliament enacted the Writs of Assistance. These were court orders that provided legal sanction for any official of the British government to enter and search the homes of the colonists. Commissioners, members of the military, and customs officials could all utilize the Writs against the will of property owners. 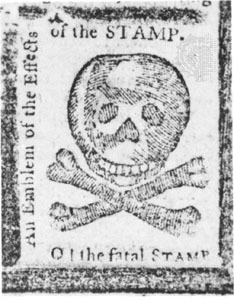 Primarily, this was done in order to ensure their compliance with controversial means of taxation such as the Stamp Act and Townshend Acts. Consequently, the British authorities urged that these measures were necessary in order to provide stability for the government and security for its citizens. Worried about smuggling and resistance to unjust taxation and purchase mandates, Parliament thought this an appropriate way to deal with colonial conflict. James Otis Jr., patriot lawyer and unwavering firebrand of liberty, did not. Read more via The Writs of Assistance and the NSA | Tenth Amendment Center.